Covers by Rhoald Marcellius, Game, Jose Carlos. 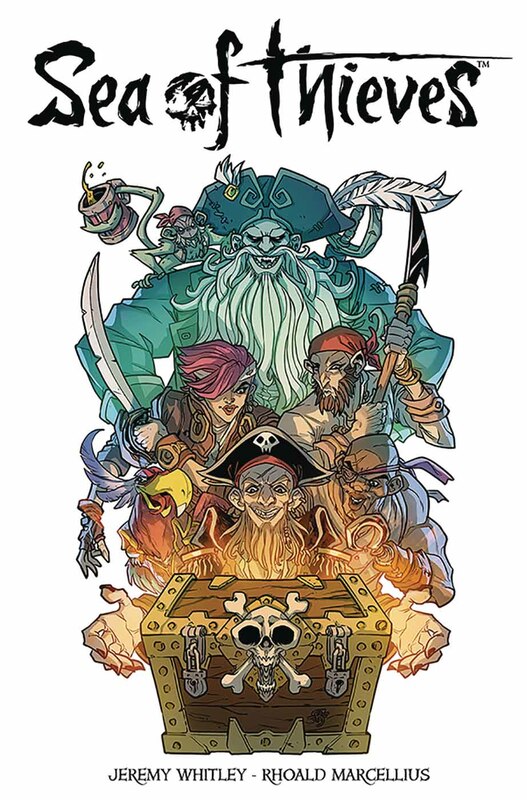 Follow two competing crew of pirates with this epic story based on the shared-world adventure, multiplayer game from Rare due for release in early 2018 on Xbox One and Windows 10! Two crews sail the Sea of Thieves in a race to track down an ancient treasure. Along the way they'll deal with undead hordes, devious traps and their own bitter rivalries, but who will ultimately claim the legendary loot? 32 pages, $3.99, in stores on March 14. 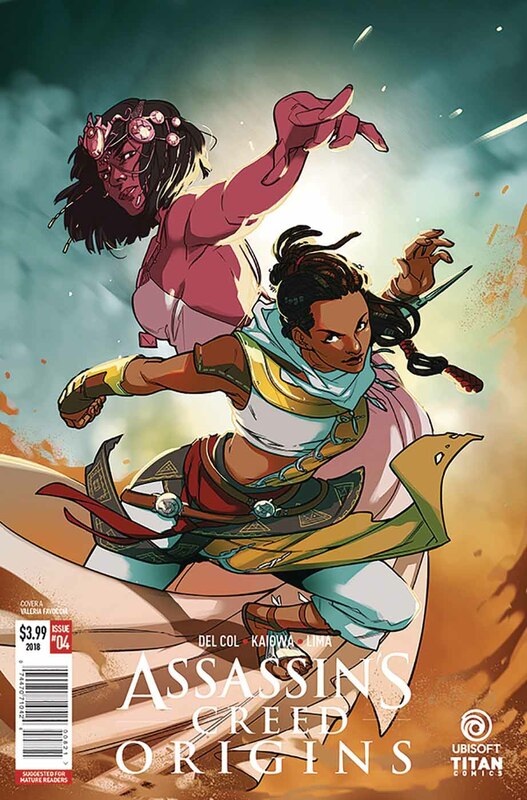 Cover artist: David Nakayama, Connor Magill. The Deathwatch are the best of the best from all chapters of Space Marines! They alone have the strength of mind and body to battle the aliens across the Universe, defending humanity from the Xenos that would destroy them. 32 pages, $3.99, in stores on March 21. Covers: Valeria Favoccia, Sanya Anwar. 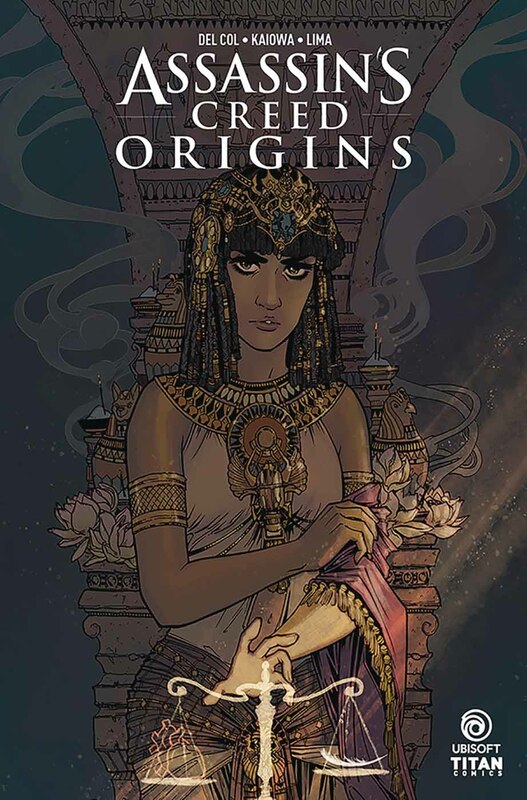 Direct tie-in to the brand new videogame Assassin's Creed Origins! Witness the very beginning of the Assassin's Creed Brotherhood! 32 pages, $3.99, in stores on March 7. Spyro and Rollerball skirmish with a Drow battalion and encounter a strange new team of armored enemies with incredible powers! Plus, the madness reaches a conclusion in "Mirror, Mirror" Part 3, as Spyro and Kaos try to reverse their mind-swap! Kurtis Wiebe (W), Max Dunbar (A), Ryan Brown ©, Whilce Portacio (VC). One of the most iconic villains of the Gears of War universe takes the spotlight! 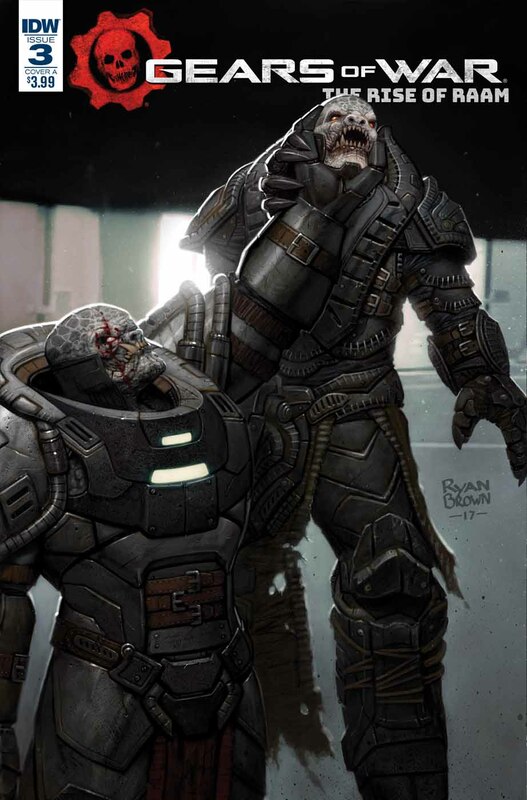 Years before he became the bane of humanity on Emergence Day, RAAM rose through the ranks to take leadership of the Locust Horde armies thanks to his intelligence, strength, and ruthlessness. Now, witness that swift and brutal ascent in... The Rise of RAAM! 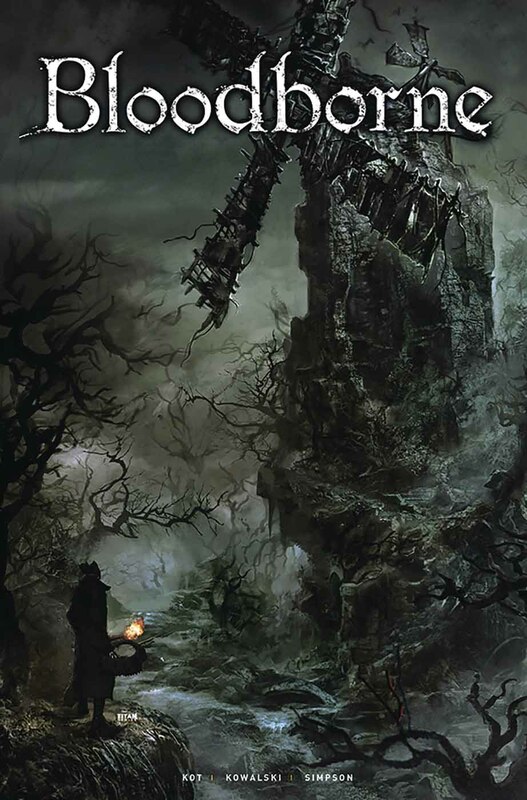 Written by Chris Sebela, art by Ariel Medel, covers by Jonathan Lau, Gameplay. As the only remaining survivor of the Institute, 47's role as Dr. Ort-Meyer's weapon is put to use one last time on an impossible contract against a shadowy foe who controls their fates. The blowback against Diana pushes her to finally track down the last name on her list, triggering a series of disasters that sets her on her collision course with the Hitman. 32 pages, $3.99, in stores on March 28. Written by Tom Taylor, art by Mike S. Miller, cover by Tyler Kirkham. Booster Gold trains Blue Beetle, while over in Kahndaq, Wonder Woman trains Supergirl. Damian heads to Gorilla City to join Ra's al Ghul and his allies, only to walk into the middle of Grodd's rebellion against King Solovar. Written by Tom Taylor, art by Bruno Redondo, Mike S.Miller and Juan Albarran, cover by Brundo Redondo and Juan Albarran. 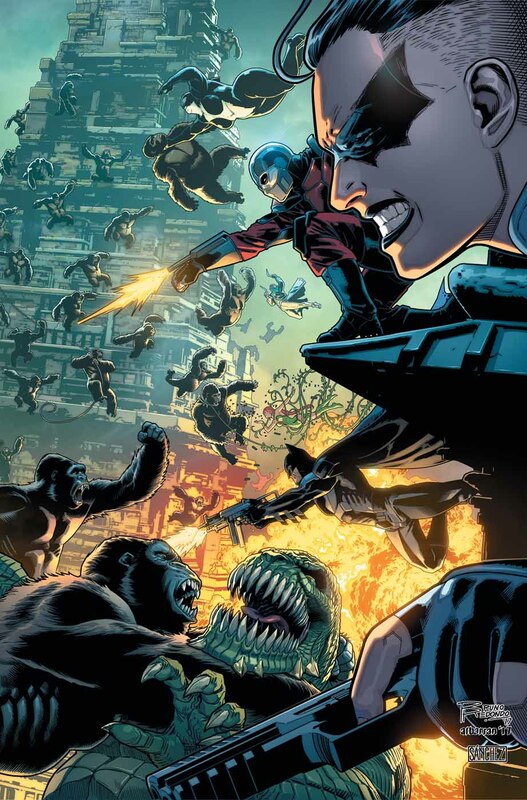 Then, the Gorilla City rebellion explodes, putting Ra's al Ghul and his mission in jeopardy. It's up to the Suicide Squad to get him out alive -- but Ra's has a trick or two up his sleeve. Later, Amazo is sent on another mission of mass destruction, but a new champion wearing the "S" shield is out to stop him.